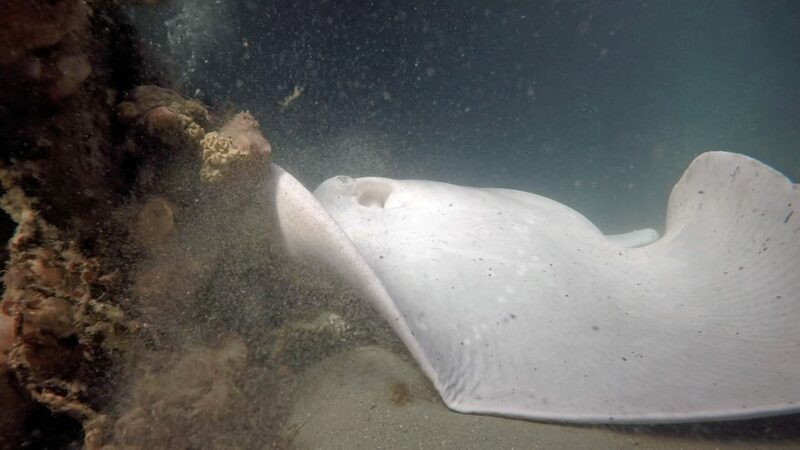 She was four-meters down when she spotted the Smooth short-tail stingray, known scientifically as a Dasyatis brevicaudata, that can grow up to 4.3m in length and weigh nearly 56 stone (350kg). 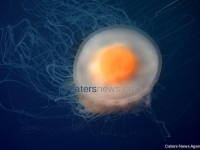 The snow-white sea creature fearlessly swam around while on the hunt for spider crabs, who migrate to the area to moult the last of their shells. 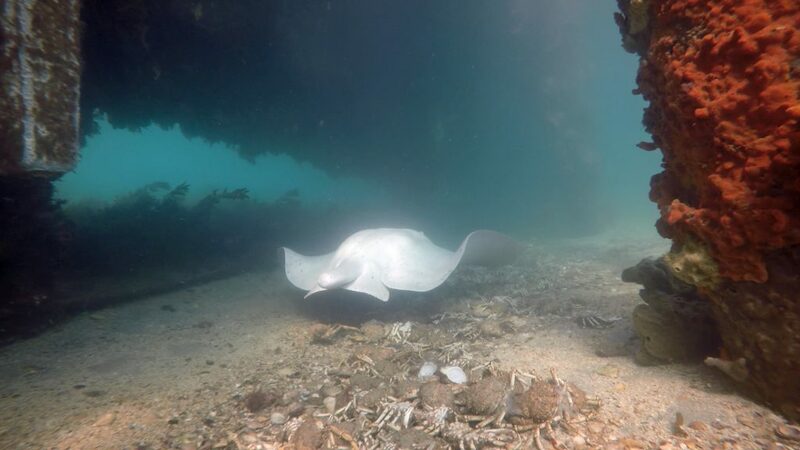 Jane was on her 1,650th dive over a 24- year-period, when she spotted the albino ray that she and other divers in the area believe to be a rare sighting. Since her encounter on June 9th, others have been overwhelmed by the unusual sighting as well as sorrowful after noting it ray’s tail had been cut off. Jane, a Pool Attendant Peninsula Hot Springs, said: “As she slowly cruised close by me I noticed a speckled constellation of small black spots on her wings and body. “She seemed to glow and looked not of this earth, a heavenly body, ethereal. ‘Stellar’ came to mind. 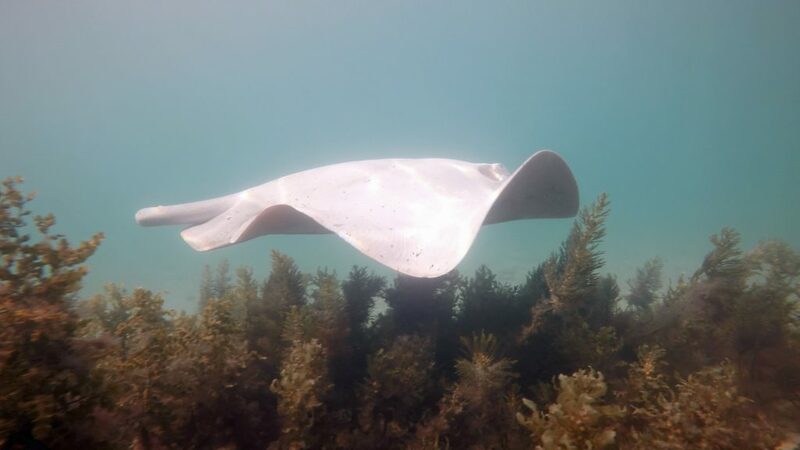 “Rays are beautiful and graceful to watch underwater, but to see a ghostly apparition ray coming toward me was amazing. 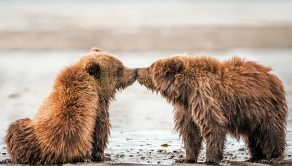 “I was nervous she would be skittish and veer away, but she came right towards and past me and returned a number of times cruising around the pier pillars. “She did not seem fussed about us being there at all. Also, sad to see she had had her tail cut off. “I would say this is very rare. I have not seen or heard of an albino Ray being seen before these recent sightings. “Most people have been pretty amazed to see an albino ray. Some sad to see her tail cut off. “Some friends of mine had mentioned they had seen an albino ray here just recently. “PT and Jules dived just before our first dive but did not see Stella then, we didn’t see her either until half way through our second dive. Jane was on her typical Saturday dive when incredible sighting occurred, with husband Fred and friends Cheri Bruhn and Paul Schaus. She added: “This was a fun dive. I dive most Saturday mornings before working in the afternoon or evening shifts. “For the last few weeks Spider Crabs had been amassing at, or near, Blairgowrie Marina getting ready for the moult of last years shells. Some years they are near Rye Pier. “The Annual Congregation of the Giant Spider Crabs – At the End of May, colder water temps and the Full Moon triggers a mass moulting of the crabs from their old shells leaving them soft and vulnerable for about 3 days before the new shell hardens. The rare ray was noticed to have been missing its tail, which Jane says is an ‘unfortunately common’ sighting in the area. She believes this is due to fisherman who throw bait and cuts into the water to attract fish. 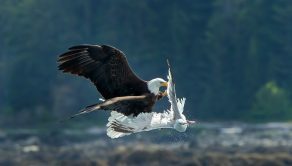 Jane said: “My guess is they catch a ray, they consider the barb in the tail dangerous so figure they will cut them off. “Whether just to remove or to keep i cannot guess but it is cruel and is illegal here not to return unwanted catch into the water unharmed. 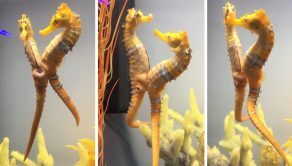 “Anyone who denies this act has been committed by a human, fisherman, will need to explain any other possible way this missing tail could happen because i doubt there is one. 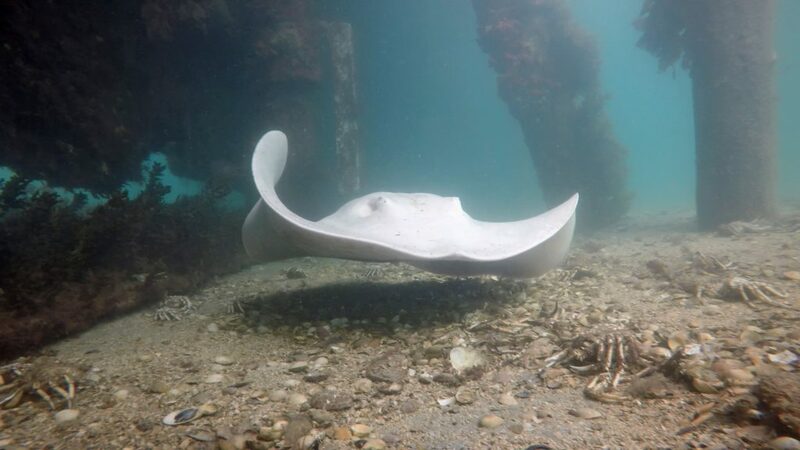 “Myself and diving friends regularly see Rays and Banjo Sharks/Fiddler Rays under piers who have been caught, mutilated or attempted to be killed and thrown back in the water. Jane believes since the unfortunate death of animal lover Steve Irwin in 2006, the public have become more fearful of stingrays. 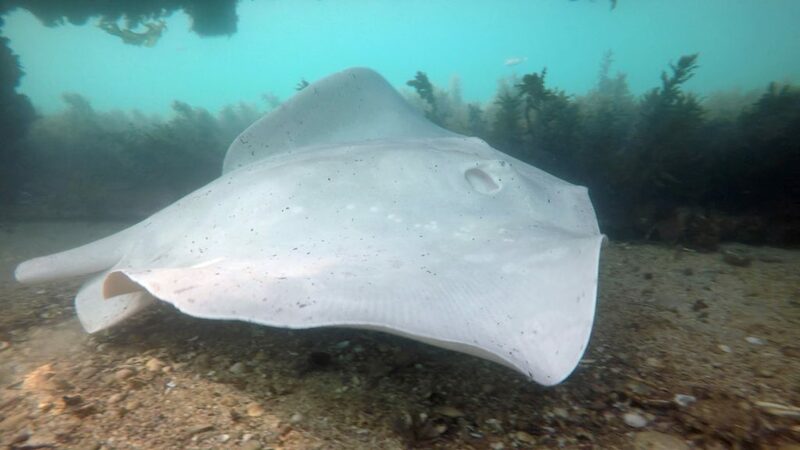 Her friend Jacqui, a marine educator, has set up a Ray Awareness Facebook page in a bid to dispel misrepresentations of the sea creature. Jane said: “Unfortunately, Steve Irwin’s death has done rays a huge disservice and made adults and kids afraid of rays even more so than sharks. 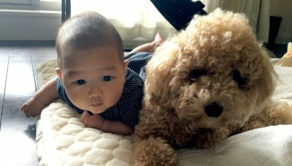 “Many adults are very ignorant and think that Rays attack. THEY DO NOT! 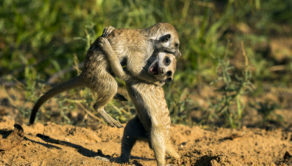 They are a defence animal.